Tucked deep in Maine's North Woods along the Quebec border, the Big Six Forest is among the largest sources of maple syrup in the United States. With more than 340,000 maple taps, the forest accounts for 24 percent of the state's production of maple syrup, with some families tapping the same trees for more than three generations. 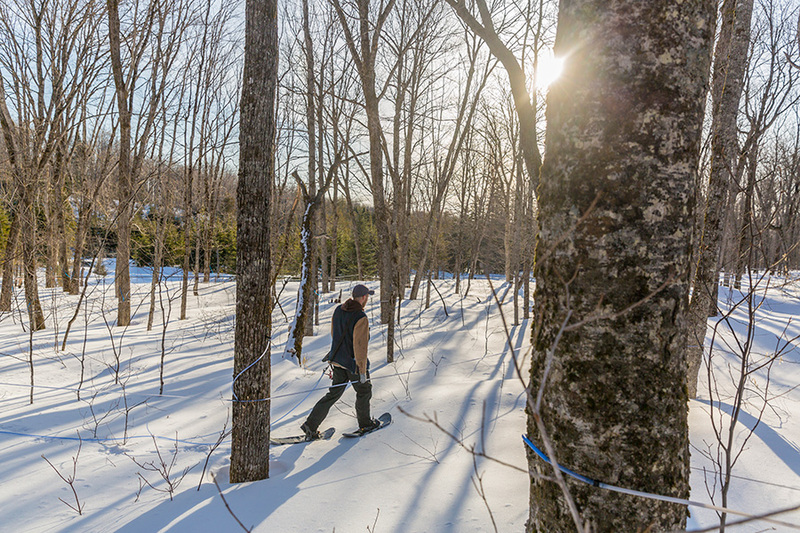 Besides its crucial importance for the syrup industry, the forest is also a source of timber for local mills, an important recreation area, and a vital wildlife habitat corridor connecting protected lands on both sides of the Quebec-Maine border. But today, these large sugar-maple stands are at risk due to changes in the international timber market and the region's increasing susceptibility of second-home development. The Trust for Public Land is working in partnership with state agencies and maple syrup producers to protect the Big Six Forest with a 23,000-acre conservation easement. Public funds are available, but we must raise additional support from private donations to complete the project and preserve this forest's abundant resources forever. You can help.